Posco Daewoo has decided to rebrand itself as Posco International during a general shareholders meeting, according to the trading arm of South Korea’s largest steelmaker Monday. The firm said the change of the name is aimed at shaping its identity as a global trading company, leading global business of Posco Group and raising the future valuation. 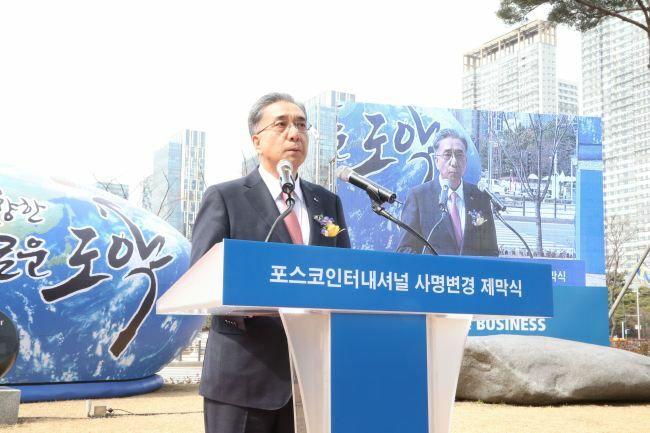 “The launch of Posco International is an important momentum to create synergies with overseas businesses of the group and solidify a sense of unity as a member of our group,” said Posco International CEO Kim Young-sang. Posco International, which started as Daewoo International in 1967, was acquired by Posco in 2010 and was rebranded as Posco Daewoo in March 2016. This year, the trading firm plans to focus on strengthening the value chain of its key businesses, including liquefied natural gas and food products.